Thank you in advance for the shared sacrifice you are making as we seek to win the future of interpersonal communication that we hope is a new normal in your daily consumption of of quasi-news that will occupy your mind while you serve s a pet parent. We provide opportunities for blowback at the end. Well, there you have it–all of the words on the 2012 list of banished words as compiled by Lake Superior State University in Sault Ste. Marie, Michigan. The list came to mind the other day as I passed through a grocery store checkout line and one of the rags that likes to show us pictures of dying moving stars, wronged starlets, drugged up and drunk people who are famous only because they are famous, and pregnant public figures had an exclusive front page picture of Duchess Kate Middleton’s baby bump. 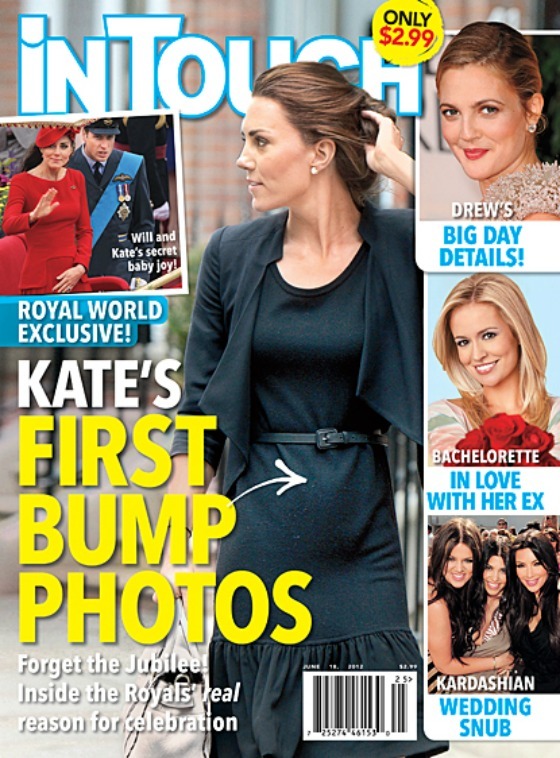 I felt sooooo relieved knowing that someone is out there watching Kate’s belly for any sign that she and her husband are — you know. I don’t know which publication it was. At least it did not say she was expecting a Martian. The issue came up in some miscellaneous newsroom discussion this morning and John Perkins, I think it was, who is one of our Brownfield Network colleagues, opined as to how he thinks “baby bump” is one of those phrases that should be banned from the English language. Or any language. And that led to the Lake Superior University list of banished words. A check of this year’s list shows that others have expressed this desire before John. Each year the University compiles a list of words that become so catchy in the English language that they quickly begin to irritate the hell of of people who are able to communicate without babbling trendy phrases, worn-out words, weasely phrases — in other words, phrases and words that do not leave deep fingernail scratches on a mental blackboard. “Amazing” was the top vote-getter for this year’s list. It is often pronounced “a-MAYZing” and replaces another banned word, “Awesome,” another word so overused and badly used that it produces winces. Those of us who own dogs or cats might find the phrase “pet parent” to be absolutely stupid although my cat Frederick thinks my wife and I are his staff. “Win the future” is followed by “Trickeration,” a word that seems to have come from the football broadcast booth and we all know how little comes from sports broadcasting booths that is useful in intelligent discussion. There’s more on the Lake Superior State University “banished words list” webpage, including lists from past years that when taken as a whole are a history of abuses and trendiness in the use of the English language, American version. These lists also should give pause to those who proclaim that English should be the official language for all kinds of things. If I were proficient in some foreign language and I read the list from LSSU, I would wonder why I should want to learn or be forced to learn a language such as this. Listing words that need to be banished, unfortunately, carries little weight. The first list was compiled in 1976. We still hear people talk about things “at this point in time” that are “meaningful” and are “input” into a “scenario” (although we don’t know that we have heard anybody talk of a “meaningful input scenario at this point in time.” lately). We don’t hear “detente” very much anymore. But “macho” and the linked words “implement” and “viable,” and “dialogue” are on that list and certainly there are times when it is important to implement viable dialogue, maybe during history class discussions of detente. For the record, I have told the Missourinet news staff that I don’t like to see the word “input” in our stories. “Output” seems to have been an established word in the language for a long time and is not as irritating as “input.” The worst “put” word has to be “throughput,” which sometimes provokes in this writer’s body a reaction similar to some of the morning activities of those with baby bumps. At another grocery store today the checkout clerk told me to “have a good one.” That was on the 2001 list. Sometimes I answer, “Thank you, I do.” But maybe the best way to stamp out that phrase is for all of us to respond, “Why can’t I have two?” Maybe the cheerful clerk will for the first time think of what he or she said. If enough of them do, we will take a ginormous step toward cleaner use of our language.